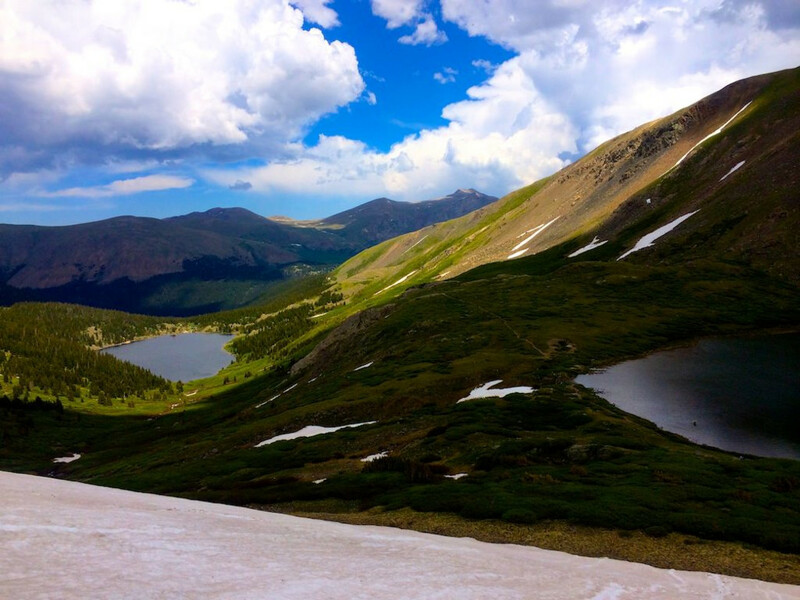 It’s no secret that Coloradans love the outdoors, and it's pretty obvious why. Look at this place; it's gorgeous! From canyons to mountains to waterfalls, Colorado has it all. It's no wonder that so many people move here from all over the country, and truth be told, that's one of my favorite parts about living here. No matter where I go, there are plenty of other non-native people taking advantage of the beautiful landscapes. We’re all over this place! 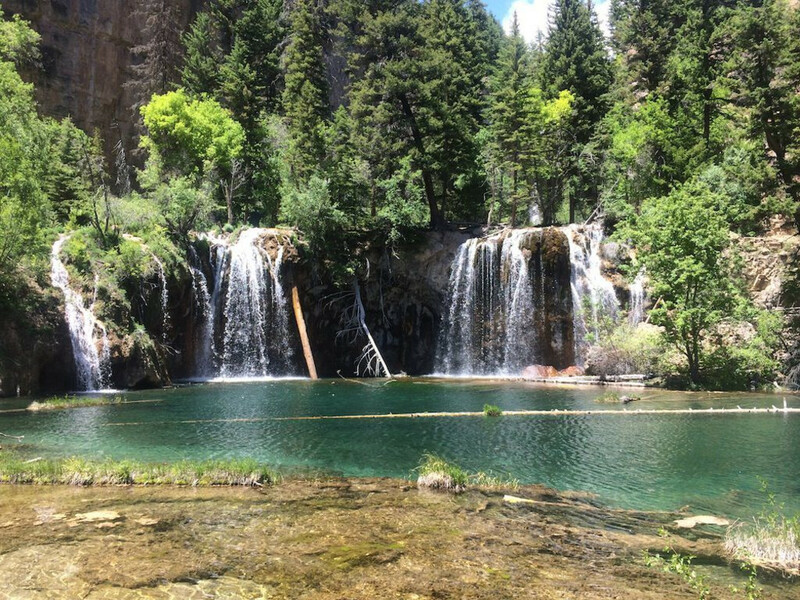 So, for those of you just moving to the great state of Colorado, here are the 5 best hikes to make you fall in love with the Colorado outdoors at the drop of a hat. This is a great first hike in Colorado. 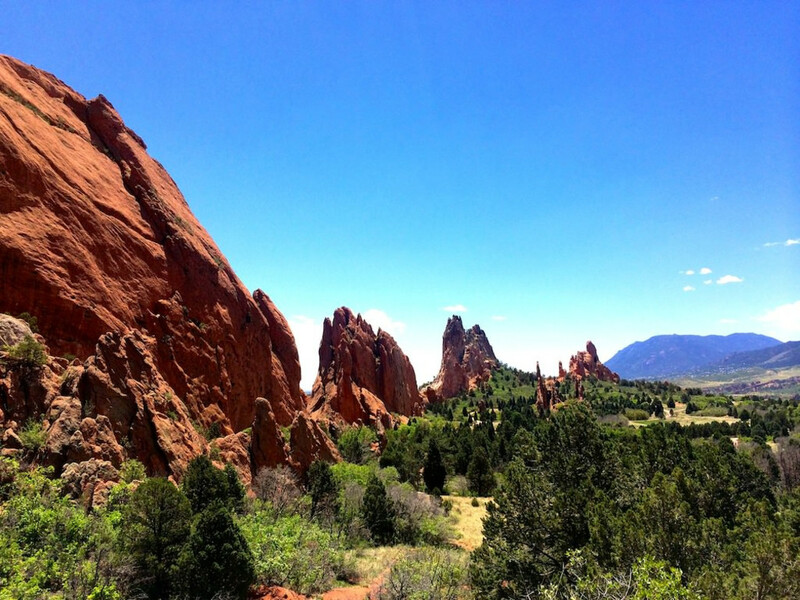 Garden of the Gods is unlike anything you've ever seen. The giant rock formations jet up from the ground in every shade of red and orange. Although there are countless trails around the park, there is also a paved walkway that weaves between the rocks and is good for visitors of any skill level. 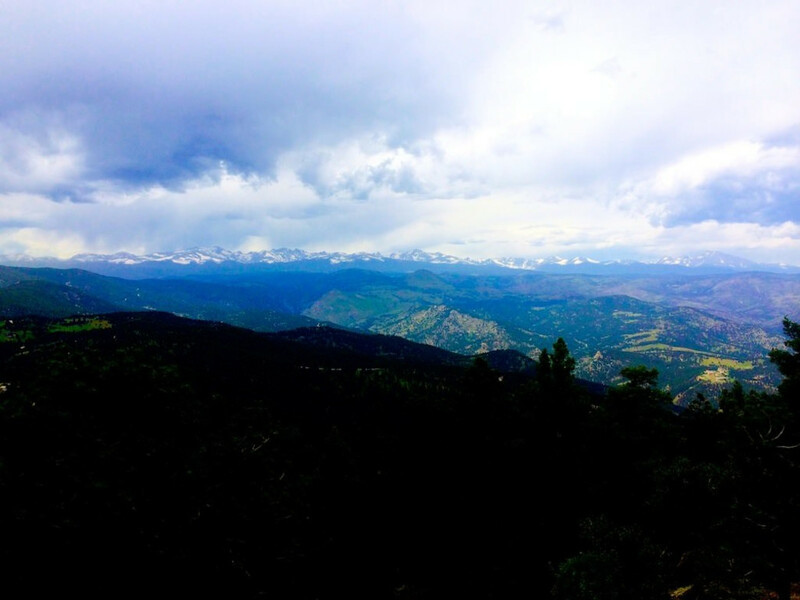 The paved walkway isn’t a typical Colorado hike, but the views are definitely enough to make you want more. I suggest this hike to everyone simply because there’s no doubt that it will leave you wanting more. 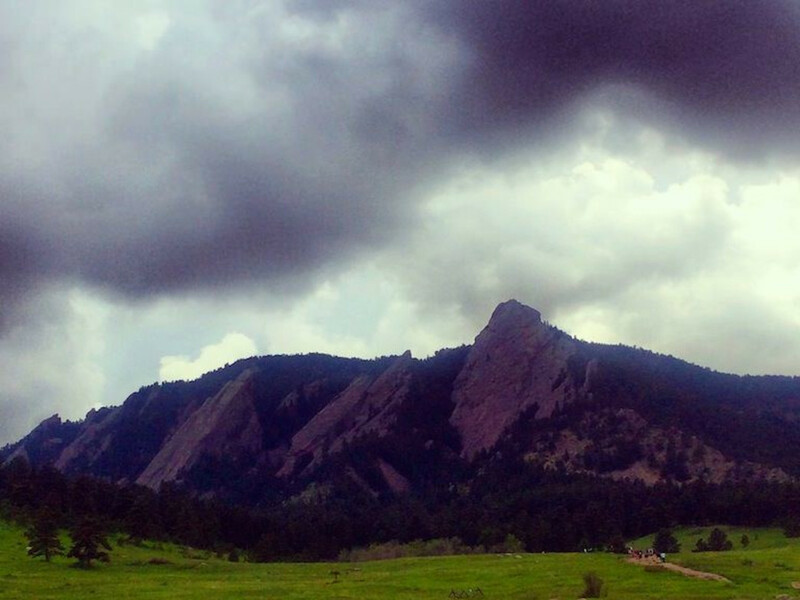 Chautauqua Trail is an awesome introduction to a real Colorado hike. It’s the perfect length for beginners (2.9 miles round trip for Flat Iron #1) and the rise in elevation is just enough to make you work for the view. Speaking of, throughout the hike there are killer views of Boulder and the surrounding area. At the top you look out to snow-capped mountains and the rest of the Flat Irons. They are definitely some of the most interesting mountains in Colorado. Another great hike in Boulder is Green Mountain . Though you can hike from the base of the mountain, there is also a shorter and less steep hike called Green Mountain West Trail. This trail is 2.3 miles out and back with a 449ft rise in elevation. It’s a great hike for those of you who want to bring along kids or dogs. The trail itself is very well maintained, and other than a short climb up a wall of boulders, it’s a breeze. There are excellent views of the foothills, the city of Boulder, and a few 14ers along the way as well as at the summit. This is definitely the most rewarding hike I’ve done in Colorado thus far. The trail itself is hard; in just 1.2 miles the elevation rises 1,050 feet. Luckily there are several spots along the way to take a break. The trail begins in Glenwood Canyon and follows a creek up to a breathtaking turquoise lake. The lake is almost untouched, which means swimming is absolutely prohibited. Several waterfalls pour into the lake and make for an excellent photo opportunity. If you’re not too dead from the hike up to the lake you can continue on to Spouting Rock just a half mile further. Spouting Rock is yet another waterfall that runs into the creek that feeds Hanging Lake. You can easily walk behind the waterfall and take a look at the cavern underneath. This hike is a must-do for any Coloradan, but especially for non-natives looking for a true local's experience! This trail is outstanding. Although it’s a little longer than some of these others (5 miles round trip), it’s well worth it. I hiked the trail in the beginning of July, which meant there was still a bit of snow, but definitely manageable in normal hiking shoes. Once out of the woods, the trail opens to a gorgeous valley that has tons of wildflowers scattered about. The trail is easy to follow and relatively popular, so you’re sure to make a few friends along the way. There are two main lakes on the trail, but you have the option to continue on the Lake Murray once you reach Silver Dollar Lake. Though the trail up to Murray is steep, it’s short and, of course, worth the view. This breathtaking hike reaches 12,100 feet and is worth every single gasp for air!